Soca songs that need more air play! Every year hundreds of Soca songs are released, but only a fraction of those songs get heavy rotation on the air waves. As a result, many good tunes are often lost. In this blog post I have decided to list a few new or underrated artiste, who in my opinion have songs worthy of more air play. Honestly I had not paid attention to Jadel until last year. When I heard her 2018 hit 'Round and Round' I was like, "Who DIS??" Needless to say I fell in love with that song and my interest in her peaked. Her 2019 song Jam Day took a little growing on me but I have to admit, the tune is real vibes for Jouvert. Shereena Richardson is very new to me and ony discovered her while searching for this post. She is from Anguilla and the 2018 Groovy Soca Queen at home. 'Carnival Calling' is like a mix of Soca and House Music that just makes you feel relaxed and sway while sneaking in a wine. I am very sure EVERYBODY reading this blog post should know the 90's hit song 'Frenchman' by local band Taxi. Insert shame face here, since today was the first day I realised this was a local band and a local song. This song came out in 1991. Late to the party much? The front line singer of Taxi, Cathy Ella has released her tune for 2019 called 'Ma Ma Yo', which I think is worth a listen. The song gives a nostalgic early 90's Calypso feel I can appreciate. This Bahamian beauty is a first for me and I love the high enery of this song, even though its more groovy. I feel like skipping down the road and high-fiving everyone with this song lol. Her vocals at the chorus hooked me. I cannot find a single piece of information on Ria. Her vocals are on point and I think her managment should make "real effottt!!" to get her recognized. This tune is like a Caribbean girls anthem that should be played all year round! All I know is that Ria is from Trinidad and Tobago. Apparently Jonnelle has been releasing songs for a number of years now. This year she broke out with Foli and the song seems to be a favourite among the ladies. I am not sure if she entered in the Groovy category for Soca Monarch, but the song deserves to be in the finals. While scrolling JoJo's Instagram I came across this tune. This song brings out the pervy nerd waist pelt. This song brings out the wassy-stush, tongue outta mouth wine. This song makes me want to pelt juke on anything! ROFL!!! Jo Jo has been giving us music before 'Shake dat' and she has had some catchy songs between. Her voice is very versatile and she can switch it up to suit the vibe of any rhythm. As an honorable mention, my husband believes that Jo Jo's Soca 'Start It', should be number one on this list. Check out 'Go Down' on the Sick Jab Riddim, which is another Jouvert mashup tune. As much as I do not partake in Carnival activites I cannot shy away from the music. I love how different Caribbean artiste display their talent and bring their own flavour to the festival. In case you havent noticed, this list issa soca girls team! Comment your favourite soca artiste below! Shaina Brown is a Caribbean woman from the Island of Trinidad and Tobago. 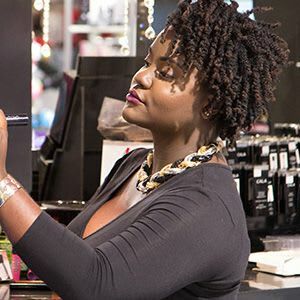 She is a beauty writer, advisor and Makeup Artist on a mission to help the average woman not be the 'typical woman'. Subscribe to the newsletter to be the first to know about new content from Shaina Brown!